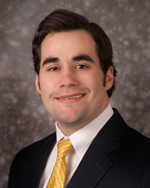 Anthony is responsible for developing offering memorandums, financial analysis, preparing financial modeling, conducting industry research, and drafting proposals, presentations, and other marketing materials. He resides in Lakewood, Ohio. Management Trainee at R.S. Hanline & Co., Inc.